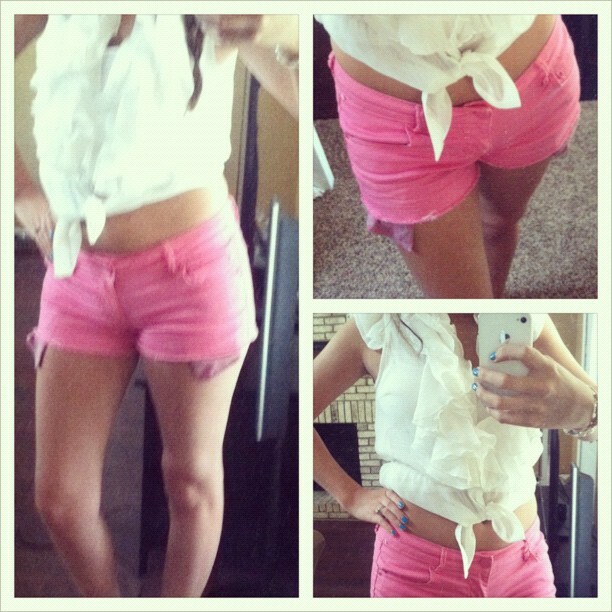 Wifestyles Blog & Photography: Outfits Lately! 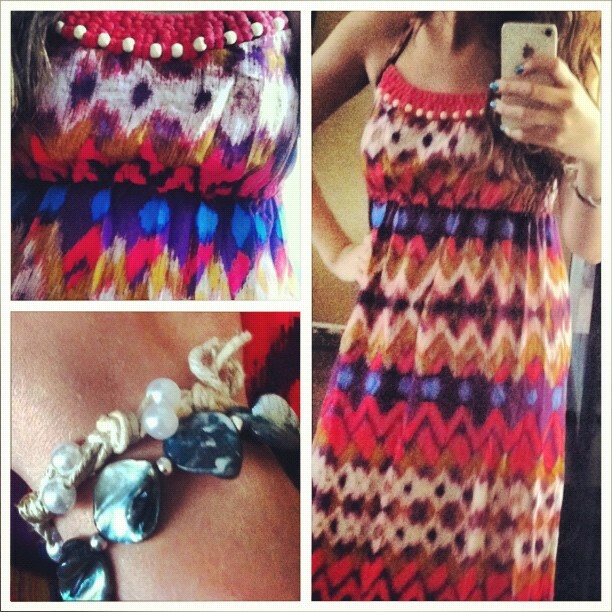 Here lately I've been really into the #OOTD trend via Instagram! So I thought I would share some of my latest outfits with you guys as well as my favorite stores to shop at! Bracelets- I made the bottom one and the other was a gift from my sweet Gramma! My favorite stores to shop at here lately are Forever21, Macy's and Von Maur! Target is also another one of my top favorites! What do you guys think about the #OOTD posts? Do you like them? Should I post more of these? Let me know! PS- Which outfit is your favorite?! Love all of these outfits! Especially the dress/boots one! What is Von Maur? I've never heard of that store before! I love those pink shorts! I'm going to find you on instagram! Freaking adore the first two. I want to hop in the car, and go buy the exact same blue and white stripped dress. I love the first two outfits, but especially the striped dress and boots! I don't tan, so I don't show my stomach much. You look great in all of them! Love the crop tops!! 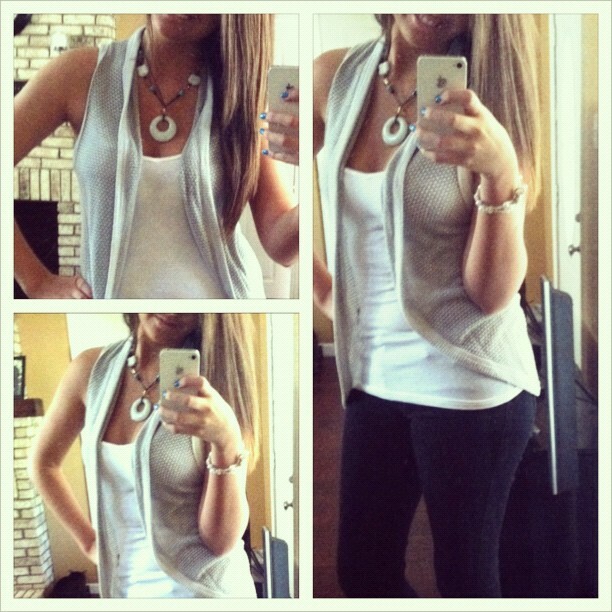 & that gray cardi in the top outfit is amazing! you are so cute!! 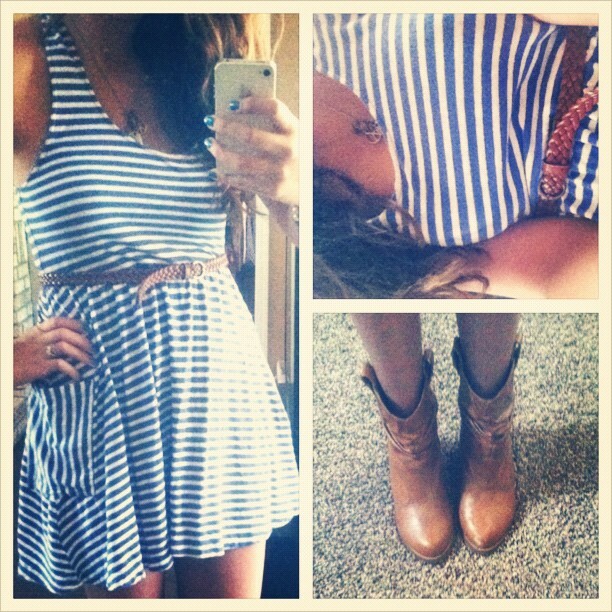 and that striped dress with the little cowboy boots is definitely my fave! adorable! you are so beautiful!!! love the crop top!!! I wish i was that skinny to be able to pull that off!! one day one day.. I also love the dress & cowboy boots!! Love all of these outfits! you always dress so cute! 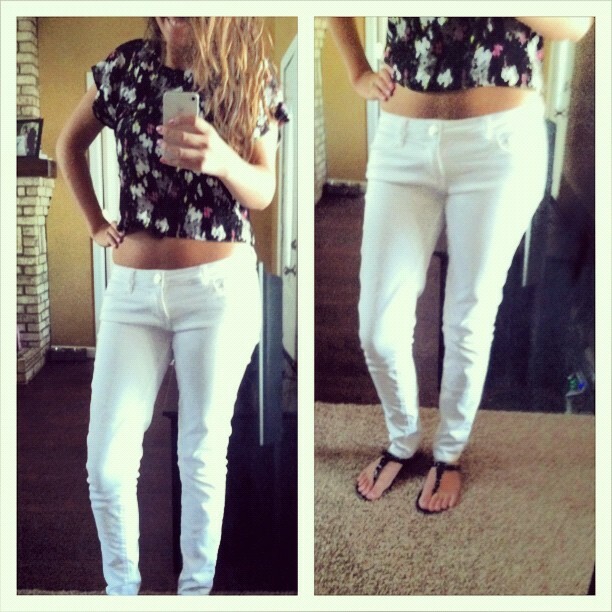 I would LOVEEE to wear cropped shirt!! Quite jealous! very cute! I love the first and second outfits the best! happy friday!